As well as supplying their excellent range of bathroom products, we also stock a selection of Home of Ultra kitchen sink taps. These are top quality taps from a top quality company, all offered at MBD Bathrooms’ incredibly low prices. With Home of Ultra kitchen taps from MBD Bathrooms, you can give your kitchen that little extra something, without worrying about getting shoddy products or a bad deal: With our experience and buying power, we can offer the best balance of total quality and affordable prices in the UK. 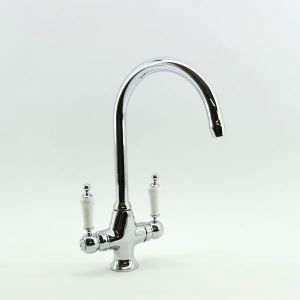 We stock Home of Ultra kitchen taps in both modern and traditional designs, take a look at our range of products below.